Backup call notifications are especially useful for iPhone users. Why? Unlike Android users, iPhone users are not able to set important push notifications to ring when Do Not Disturb is enabled. However, they are able to receive sounds and vibrations from specific contacts. 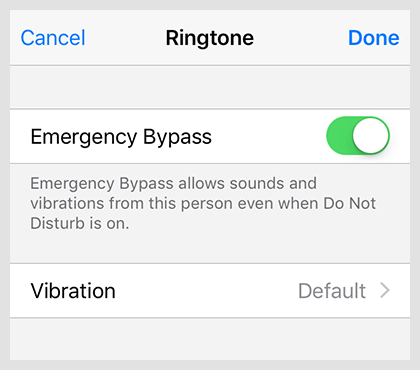 With iOS 10, Apple introduced the Emergency Bypass option. Please check your current iOS version. Go to Settings > General > About and check the number after Version. If your phone is running an older version than iOS 10, we recommend you to, whenever/if possible, to update your system. If you don’t want to update (or can’t), please read the second part of this article. 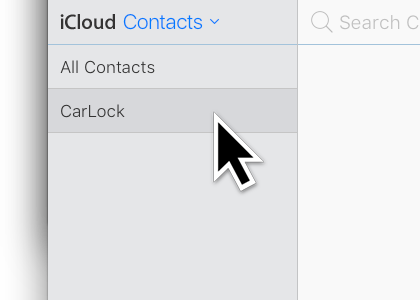 Go to Contacts and open or add the ‘CarLock Alert’ contact you have created (if not, read more here). Tap Edit > Ringtone and enable Emergency Bypass for this contact. Now, backup call notifications and/or backup SMS notifications will get through even when Do Not Disturb is enabled. 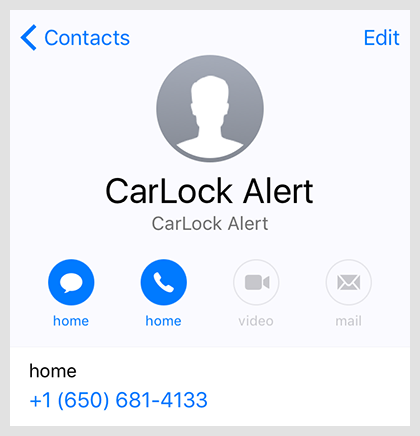 Add the ‘CarLock Alert’ contact you have created (if not, read more here) to a special Group of allowed contacts. If you are already using the ‘Allow Calls From‘ feature, all you need to do is to add the ‘CarLock Alert’ contact to this special group and you are done. If you are not familiar with this feature, continue reading. Open ‘CarLock Alert’ in Contacts and tap on ‘Add to Favourites‘. 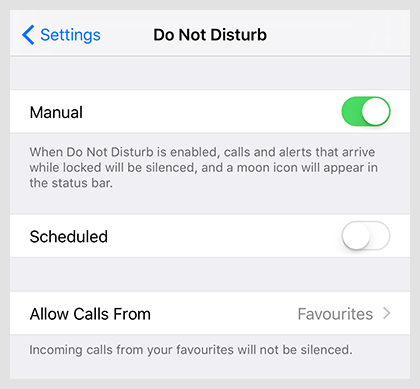 Go to Settings and tap on Do Not Disturb > Allow Calls From and select ‘Favourites‘ from the list. Now, your phone will ring anytime you receive a call from a contact on your Favourites list, even when ‘Do Not Disturb’ feature is enabled. 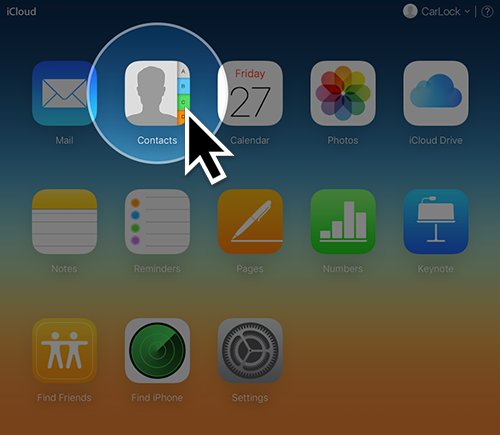 Browse to iCloud, log in with your Apple ID, and click on ‘Contacts‘. 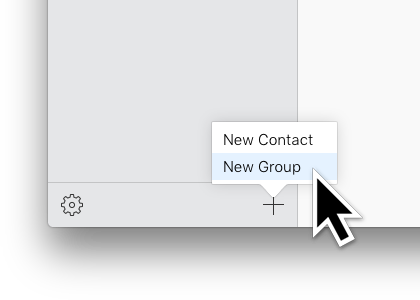 At the bottom left corner click on ‘+’ and ‘New Group’. Give this group a name. For example, we will name it ‘CarLock’. All you need to do now is add the ‘CarLock Alert’ contact to this newly created group. 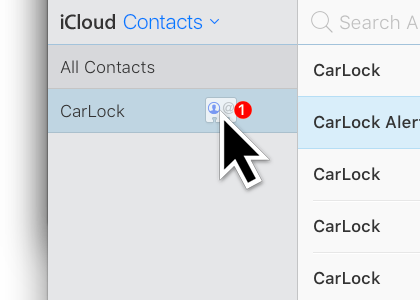 Click on ‘All Contacts‘, find the CarLock Alert contact and drag it to CarLock group. On your phone go to Settings, and tap on Do Not Disturb > Allow Calls From and select ‘CarLock‘ from the list. Now, only calls from ‘CarLock’ group will be allowed to ring when ‘Do Not Disturb’ feature is enabled. Learn more about Do Not Disturb feature here. If you have any questions, please let us know on support@carlock.co.